Since the 1990s, a ‘cinematographic turn’ has supposedly taken place in contemporary art paralleled by the emergence of a ‘cinema of exhibition’ during the same period. This collection of new essays investigates the relationships between the ‘white cube’ and the ‘black box’, focusing mainly on the 1970s, a decade in which film practices and moving images were integrated into museums and art spaces. 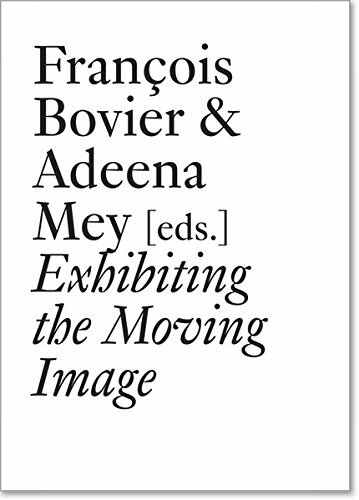 In order to define what constitutes a ‘film exhibition’, the authors in this volume analyze multiple modalities of presenting the moving image through historical case studies: the anatomy of video art, expanded cinema, artists’ films and installations, and the moving image in the public sphere. The challenge of this volume is to articulate historical case studies alongside wider questions that shape contemporary forms of artists’ film and the moving image with their exhibition contexts. Part of the Documents series, co-published with Les presses du réel and dedicated to critical writing.